More Tomatoes – especially useful for heirloom varieties where quantity of fruit may be low. Earlier Tomatoes – avoid green tomatoes at the end of the season and get them ripened before late blight takes over. 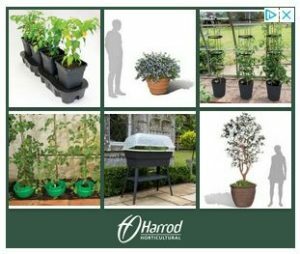 Plant in same soil* – reduces the hassle of having to sterilize containers and buy new bags of multi-purpose compost which can be expensive – a real advantage for the greenhouse border! Increases the yield of your favourite variety – more tomatoes! Increases the speed at which the plants grow – earlier tomatoes! Increases disease resistance – use soil from last season! If you’ve heard of rootstock and grafting but haven’t quite investigated it yet, here’s how it works. A rootstock seed is sown at about the same time as a tomato seed. When both seedlings are between 4 to 6inches (10 to 15cm) tall, the rootstock seedling and the tomato seedling are cut about 2inches above their base. The top part of the tomato seedling is joined to the bottom part of the rootstock seedling – hence, the tomato seedling gets a new root system. The cut is then allowed to heal and the plant grows as normal. It may sound a bit confusing but here’s a very short video which shows seedlings being cut on a machine and new roots grafted (clipped) on! When I first saw the video above, I was both amused and alarmed that these poor seedlings were treated in this way! However, it is a lot more caring when the process is done by hand, as below!. In this next video, a (very experienced) tomato grower shows two different techniques for grafting – this is more my style! If you intend to grow medium or large varieties, I think that grafting is definitely worth a try and comparing plants of the same variety – one that has and one that hasn’t been grafted will show the advantages. The grafted variety should produce more tomatoes earlier in the season and be protected from the many diseases that the rootstock is resistant to. However, tomato blight will still be a problem, but perhaps less so, as plants should be healthy, vigorous, more resilient and therefore less vulnerable to blight. Here are a number of grafted varieties from Suttons. I’ve ordered my rootstock seeds and hope to be grafting soon! *If you use the same soil as last season, it is best to give it a good dig to get air back into the soil and add a good organic fertiliser. 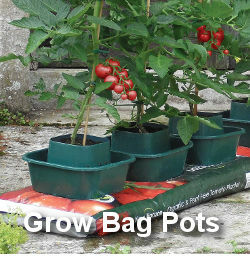 If growing in containers adding perlite and or water retaining gel is also useful. Please leave comments below and if you have had experience of “grafting your own” we would love to hear your views. So how did your experiment go last year? I’m about to try the same and my plan is to graft heirloom scions onto Aegis rootstocks to see if I get a better crop. If I do this, do you know whether the heirloom seeds will breed true next year? The heirloom seeds will breed true next year. A very, very interesting video! Like you, Nick, I was astounded by the the first video where a machine does most of the work! Just chopping of the tops of one & inserting it into the rootstock of the other & fitting a plastic clip! I’d like to know if that is successful. I suppose it is or they wouldn’t do it! The 2nd video was another thing altogether! I liked how the guy explained everything he was doing, the reason why & showing us every step of the way. I was going to ask a couple of questions but I see they have already been asked by Jess! I’d be interested to do that technique but it just isn’t worth the hassle or cost, both of money & time, as we will only grow a couple dozen plants max. I was interested to hear the same technique can be used for Aubergines & Cucumbers! Thanks very much indeed for putting the videos on here! Woah! Very interesting stuff but at my level of experience I’m happy if I can keep my plants alive for a season and get a half decent crop from them! However my father-in-law is somewhat of an authority in the UK on Fuchias and have never heard him mention this technique, I will pass the link on and see what he thinks! It will be interesting to compare grafted and non-grafted results to see if the improvement is worth the extra effort. Look forward to any comments from your father-in-law! I found this video very interesting and wouldn’t mind having a go at it. You say you have ordered your rootstock seeds – are these special seeds or just seeds that are of any vigorous variety? If so, can you tell me which ones you think would be best? I bought my seeds from http://www.sowseeds.co.uk/vegetable-seeds.html?cat=71 – they sell them in packs of six which makes them a bit cheaper to buy as they are often sold in large quantities to professional growers. They are the Aegis variety which are very vigorous and disease resistant but the fruit isn’t edible. However, they have no effect on the fruit of the variety you graft them to – just improves performance. I think they could be a great benefit in a cool, short season area!